A powerful Democratic House chairman on Friday warned the White House legal counsel that his committee is now in possession of material that his panel says shows President Donald Trump's lawyers "may have provided false information" to federal officials about reimbursements to Trump's former fixer for 2016 hush money payments over alleged extramarital affairs. House Oversight and Reform Committee Chairman Elijah Cummings, in a letter to White House Counsel Pat Cipollone, said "the panel has now obtained internal notes taken by the Office of Government Ethics (OGE) describing their interactions with the White House lawyers regarding the President's payments and debts to Michael Cohen." Cohen, Trump's former longtime personal lawyer and fixer, has been convicted of crimes including campaign finance violations, tax evasion, and lying to Congress. He was sentenced to three years in prison. In particular, Cummings takes aim at the president's personal attorney, Sheri Dillon, who the chairman says "repeatedly stated to federal officials at OGE that President Trump never owed any money to Mr. Cohen in 2016 and 2017." Cohen said in his August plea hearing that those are the years during which then-candidate Trump directed the hush money deals made in the closing weeks of the 2016 campaign. Cohen told the court he acted "in coordination with and at the direction of a candidate for federal office," referring to then-candidate Trump. Trump has denied the affairs and has previously said the payments amount to nothing more than a "simple private transaction," and that they do not qualify as campaign finance violations. However, Cummings points to Office of Government Ethics notes, not released publicly by the committee, allegedly indicating that officials tried, on three occasions starting in mid-March 2018, to get Dillon to confirm that Trump did not owe Cohen money paid on the presidential candidate's behalf to Stephanie Clifford, an adult film actress who goes by Stormy Daniels to prevent her from discussing the alleged affair. Such a payment would need to be reported on government financial filings. On the officials' second attempt to confirm with Dillon, Office of Government Ethics officials, according to Cummings, asked, "Like for 2017, if there was any money owed in 2016, he would have to amend to report that, so please confirm he did not owe Mr. Cohen money...At any point did he owe Mr. Cohen money?" "Not that I'm aware of," Dillon replied, according to the committee-released documents. After multiple attempts to get Dillon to confirm this information, the president's attorney on April 26, 2018 - according to OGE officials - responded that she "confirmed that with the filer," an apparent reference to President Trump. The committee noted that Office of Government Ethics also made one undated reference in which officials "summarized the position being relayed by the president's representatives: 'Michael Cohen did not loan Pres Trump $.'" But the chairman - in a heading in the letter entitled "False Claims of a 'Retainer' Agreement" - notes that the story about the payments to Cohen changed soon after. Referencing an interview that Rudy Giuliani did on Fox News May 2, 2018, in which the president's personal attorney appeared to acknowledge that his client reimbursed Cohen - calling the payments a "retainer" that was "funneled through a law firm," and also noting a Trump tweet a day later confirming the reimbursement as "a private contract between parties," Cummings said OGE officials then asked Dillon about the money. "At that point, Dillon abandoned her previous argument that President Trump never made any payments to Mr. Cohen," the letter to Cipollone states, adding, "Instead she told OGE officials: 'Mr. Cohen always knew that he would be reimbursed but the mechanisms for reimbursement changed over time.'" Dillon, according to the committee documents, likened the reimbursements to "payments for a kitchen remodel." The letter states that Deputy White House Counsel Stefan Passantino made similar statements, arguing the payments were merely "revolving credit" that "shouldn't be disclosed," according to the committee. When OGE officials became suspicious of the "retainer" explanation, they asked Dillon to review the agreement with Cohen, but she refused, according to the Office of Government Ethics and the House committee, citing "privilege." 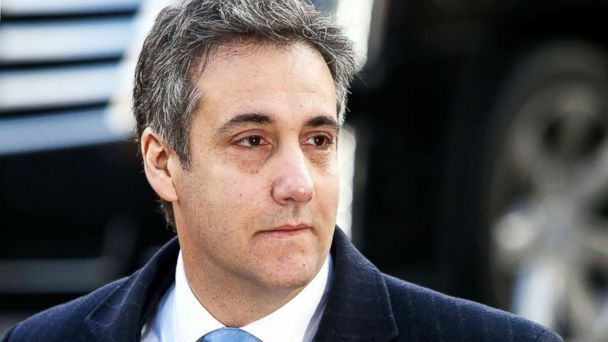 But prosecutors in New York, in documents related to Cohen's guilty plea, indicated that there was no such retainer agreement. And in May 2018, the president - on his financial disclosure forms - disclosed up to $250,000 in payments to Cohen, though a footnote on the document indicated that the disclosure was "not required." But the chairman cited in the Cipollone letter court documents in the Cohen case which state that the payments actually totaled $420,000, significantly higher than that indicated on the financial disclosure form. In the Friday letter to Cipollone, Cummings demanded that the White House Counsel release documents related to the entire Cohen matter and takes issue with the attorney apparently only offering the committee limited review "in camera" of two categories of documents. "As an initial accommodation, the Committee is willing to review any documents that you make available," the letter states, adding, "However, your offer does not obviate the need for the White House to fully comply with the Committee's request and produce all of the requested documents within the timeline specified by the Committee." The White House and Dillon did not respond to messages seeking comment.